The American Red Cross exists to provide compassionate care to those in need. Our network of generous donors, volunteers and employees share a mission of preventing and relieving suffering, here at home and around the world, through five key service areas: Disaster Relief, Supporting America's military families lifesaving blood, health and safety training and education, and international services. We have almost 14 acres with 9 acres developed. These 9 acres contain 11 individual gardens. The Garden is a community asset and can be rented for any special occasion (including weddings), Education (such as school field trips), and enjoyment of nature by everyone. Mission Statement To discover, observe and enjoy the wonders of our environment and to provide priceless education in order to foster an awareness of our interaction with nature. We can use groups or individuals. From Boy Scouts to College Students to Master Gardeners, we have tasks for all ages and capabilities. With exception to 1st Saturdays, we ask that you let us know you are coming so that we have a task ready for you. Every 1st Saturday of each month, 9am to 12pm is a volunteer work session. Special arrangements can be made for individuals needing volunteer hours. Large projects (i.e. spreading mulch) occur through out the year. Annual Daylily Festival held the 3rd week of June every year requires extra help. Independence Bank Day help in mid September. Back Woods Ball 3rd week of September. Under 16 would require an adult to be present. We ask that you let us know you are coming so we have a task ready for you. We welcome volunteers of all ages and capabilities. Dress in clothes that are appropriate for working outdoors. We do have tools but you are welcome to bring your own. Landscaping needs such as planting and mulching, Spring cleaning of all buildings, events, greeting visitors. Email is preferable but can also call. 8. Link to volunteer application. 1. Hours and days you need volunteers? How much time does a volunteer need to commit? For CERT training, it's one night per 8 weeks for 3 hours = 24 hours. Following a disaster or otherwise, it's as much time as the volunteer wants to commit. 2. 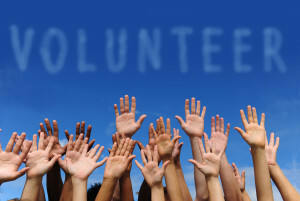 Annual or Special Events you need volunteers? Number of volunteers needed. Community exercises with the airport, VOAD, etc., require volunteers many times, usually for a few hours. This may occur two or three times/year. 3. Are there requirements for the volunteer? (background check, training, photo ID, forms,) Under 18 years old need a parent? A background check will only be done if the person wants to volunteer with Daviess County EMA. Any person is welcome to take the CERT classes. Any children under 16 should be accompanied by an adult and no child younger than middle school. For training, long pants and closed-toed shoes will be requested for safety purposes. Vests and supplies will always be provided. Engaging with residents and neighbors in disaster preparedness or response. They will be e-mailed and/or called. Habitat for Humanity is an international Christian Organization which builds houses for qualified low income families. In Owensboro Habitat has been building houses since 1988. Houses are sold at no profit and no interest to partner families. To eliminate poverty housing around the world! We use a variety of volunteers. Children to plant flowers, teenagers working with clubs with special projects. Volunteers help pre-build, frame a house, hang windows and doors/hang siding/paint walls and landscape. We do most of our regular work during the week with retired folks enjoying being productive and the fellowship of working together on a building site. Meet at the warehouse at 8:30am, break for lunch and work until 3pm. We do make special times/days to work with group schedules. Such as Spring Break, company work days on Saturdays. Banjos and Brunch fundraiser in August. Mid- March garage sale and mid-October warehouse sale. We collect aluminum monthly and we have a Habitat truck at the Midtown building for people to drop off their cans. In the summer we have a special Community Build sponsored by the YMCA called Help Build Hope. Groups and teams come together to build. All volunteers fill out a liability form. Volunteers must be over 16 years old to be active construction site due to the KY Child Labor Laws. 5. Dress Code for volunteer? Do you offer supplies for special projects? No flip flops on site. Dress according to the weather and modest. Habitat will supply gloves, safety glasses, tool belts and hard hats. Office, events, cleaning, organizing and engaging with the residents. We have variety of committees form Family Selection, Property, Family Support and Construction. We have 21 board members and accept nominations in January. 7. How will you communicate to the volunteer? To preserve Joe Ford's collections pertaining to nature and natural/cultural history of our region and to provide educational programs to give others opportunity to enhance their knowledge in these areas of interest while providing individuals in this area a place to commune with nature. Best age would be 12 and up to 70, married, singles, church groups, college, school age, etc. Nature Camp during the summer June July on Wednesdays, 1-2 all day. 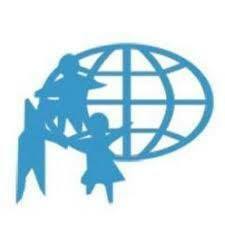 Office, ground work, painting, special events, face painting, crafts, outdoor projects, organization, computer skills. 7. Any other information you feel folks needs to know? Volunteer sexual assault advocates are needed on an ongoing basis in Daviess, Henderson, Ohio, and Union Counties. Volunteer advocates are on call to provide service when the office is closed: evenings, weekends, and holidays. Volunteer advocates respond to their local emergency room and also answer calls on our crisis line to provide information, support and crisis counseling. No experience is needed. All training and support is provided. Volunteers must be at least 20 years old with a clean background check. Volunteers must be over the age of 20. Live in Daviess, Henderson, Ohio or Union Counties. No experience required. Advocates will take on call nights/weekends. Complete training classes. On calls hours for week days is 4pm - 8 am and weekends is 8am-8am. We also need clerical volunteers that would work any hours during the work week that fits into their schedule. 4. Describe the different type of volunteer opportunities your organization would offer. For cadet membership 12-18, for adult membership 18+ must pass background check, photo id, birth certificate for verification of identity. 18 and under needs parental consent. Air Force style uniforms are worn. Will discuss in detail during meeting. 7. Any other information you feel Volunteer Owensboro needs to know? We are currently looking for more senior(adult) members 18+, we will still take cadets, but in need for seniors mostly. With a focus on youth development, healthy living and social responsibility, Y volunteers give men, women and children of all ages and from all walks of life the resources and support they need to be healthy, confident, connected and secure. We need your help! Check out our volunteer opportunities here! When you're ready, fill out our online application! You'll be volunteering in no time. OCTC SkillTrain provides adult basic education (GED & College Transition) and ESL (English as Second Language) instruction to adults in Daviess County. We do this through a combination of small group classes taught by professional instructors and one on one tutoring provided by community volunteers. Mission Statement OCTC's mission is to cultivate lifelong learning opportunities through career degree programs, workforce and community development, and transfer-to-baccalaureate degree programs. We need adult volunteers (18+) who would like to tutor students one-on-one or assist in a classroom of ESL learners. Days and times are flexible during our operating hours (Mon. and Wed. 8am-4:30pm, Tues. and Thurs. 8am-7pm) We ask volunteers to commit at least 3 hours/week for at least 6 months. Must be over 18 yrs. old and we do require a background check and some online training. SparKy is located in Daviess County, KY we are a non profit, no-kill, animal rescue. We take a unique approach to animal rescue through the utilization of foster homes to house the animals. These foster homes provide the animals with a loving environment in which their needs are fully met. They also allow the foster parents to assess the temperament of the animals, as well as their individual needs, thus ensuring that the best permanent home possible is found. Mission Statement Members of SparKy have made it a mission, to join in with rescue groups and shelters across America, by focusing on our local community to reduce the number of animals killed each year. SparKy’s goals are to educate the public about the importance of spaying and neutering pets, to educate the public about responsible pet ownership, and to rescue and re-home homeless adoptable pets. Teens and adults to work adoption and fundraiser events. Occasional transportation services for pets from the Vet to foster home (Daviess County Dentention Center) or transport of pets from shelters to vet office. Foster homes for pets. Events are usually 3 to 4 hours, transporting is 1 to 2 hours depending on location of transport. Transportation services need valid driver's license and possible background info if transporting to the Green River Correctional Facility. Events held at local bars or clubs will need be 21 and older. Public events for all ages can be teens or adults. Dress code depends on the event but, most events are jeans and tee-shirts. Music events, art show fundraisers, family and pet friendly events, Outdoor events at Friday after 5, etc. Call, text, or email preferable email or text. 8. Any other information you feel Volunteer Owensboro needs to know. Volunteers must love to work with animals. The Mission of Western Kentucky Regional Blood Center is to provide the much needed and most safe blood products and related services to our region. WKRBC’s vision is a community of extraordinary people donating blood who save and enhance the lives of those in our community. Endless thanks to our gracious donors, the true backbone of our organization. In working with our donors, our staff serves the community with integrity and loyalty. WKRBC works to exceed expectations, knowing the ones we serve include ourselves. The International Center of Kentucky is a refugee resettlement agency with Headquarter in Bowling Green, Kentucky, and a site office in Owensboro. Started in 1981 by Marty Deputy, the International Center has helped resettle over 10,000 refugees, victims of human trafficking, asylees, parolees, and other with similar status, as well as other immigrants from thirty (30) countries around the globe. Working closely with the Department of State and the US Committee for Refugees and Immigrants, the International Center ensures that refugees and other immigrants with such status have a support structure that would enable them fully integrate and thrive in the United States. Mission Statement The mission of the International Center is to address the needs of refugees and immigrants in their assimilation to community life by providing employment, educational, housing, and other social services. As long as your 18 an older and can pass a background check we can use all the help you're willing to give. Our office ours are 9:00 am to 5:00 pm. Monday through Friday. We will work any volunteers schedule as needed. World Refugee Day is an event we would need volunteers for. Background checks and picture id required. we do not use volunteers under 18. Would range from answering phones, greeting people, cleaning, sorting donations, making copies, faxing papers, and helping with flyers when needed.